Kid's 42 pc Real Wood Blocks Set Just $9.95 PLUS FREE Shipping! You are here: Home / Great Deals / Amazon Deals / Kid’s 42 pc Real Wood Blocks Set Just $9.95 PLUS FREE Shipping! Kid’s 42 pc Real Wood Blocks Set Just $9.95 PLUS FREE Shipping! 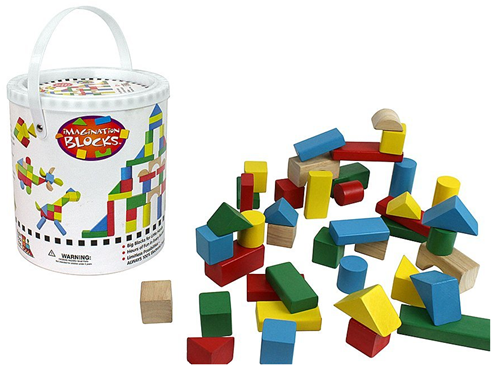 You can get this 42 Pc Wood Building Block Set with Carrying Bag and Container for just $9,.95 PLUS FREE shipping! These blocks are rainbow colored and 100% real wood! Great toy for the imagination!